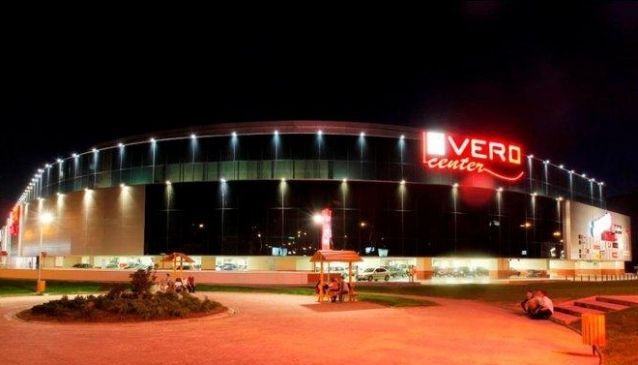 Located centrally in Skopje, on the well-known Boulevard Kocho Racin, Vero Centre Skopje is a beautiful shopping mall where all of the visitors enjoy professional service, relaxation and enjoyment. This shopping distinct provides numerous fashion stores for both men and women, also there are stores where you will find accessories, sports equipment, shoes, beauty products, books, souvenirs and many other items that you need. Vero Centre Skopje also prides itself on the super market and the huge store for decorative elements for you home. Furthermore, there is a special area for kids where they can enjoy playing games while you are having coffee or meal at one of the beautiful cafes and restaurants within the complex. The prices are affordable and acceptable for all, the service professional and polite and the quality of the products always on high level. Vero Centre gives you an opportunity to have unforgettable shopping experience in a spacious and elegant shopping mall and you only need to use this chance and enjoy.